Diamond Details: 6 Marquise cut, 4 princess cut and 4 round brilliant cut white diamonds, of F color, VS2 clarity and excellent cut and brilliance, weighing 1.89 carats total. 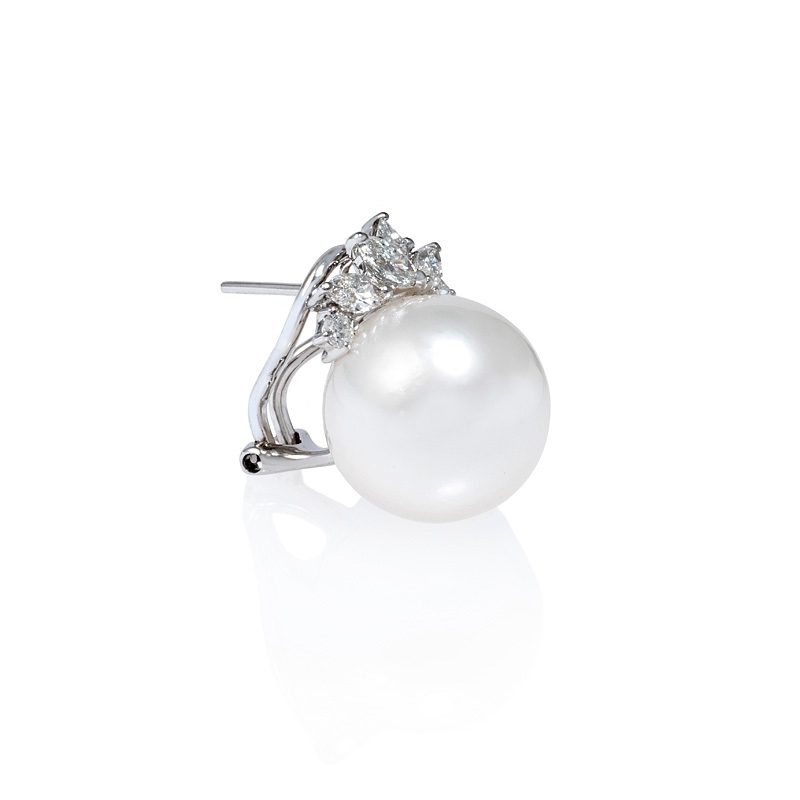 Pearl Details: 2 South sea pearls, full of luster, measuring 14.2mm in diameter. Measurement: 20mm in length and 14.2mm at the widest point. 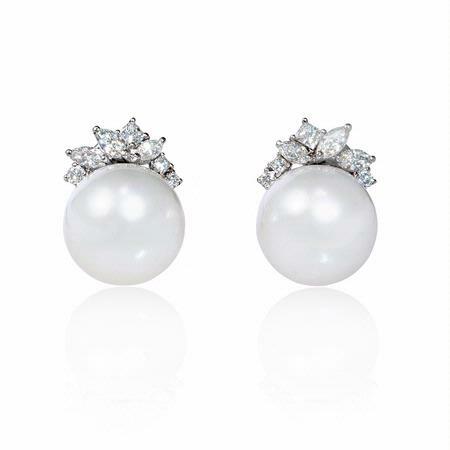 These gorgeous 18k white gold earrings, designed in Italy, feature 2 south sea pearls, full of luster, measuring 14.2mm each with 6 marquise cut, 4 princess cut and 4 round brilliant cut white diamonds of F color, VS2 clarity and excellent cut and brilliance, weighing 1.89 carats total. These earrings feature posts and omega clips. 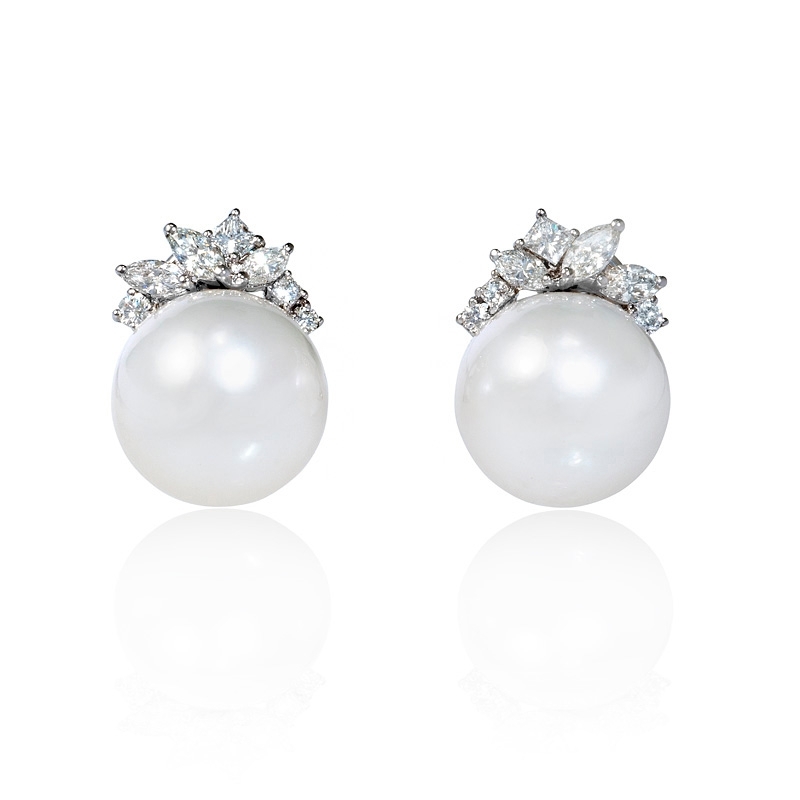 The earrings measure 20mm in length and 14.2mm at the widest point.